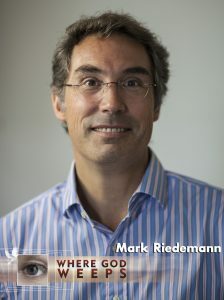 Mark von Riedemann studied communications in Vancouver, Canada and completed post graduate studies in journalism at the Robert Schuman Institute in 1991. Mark is the Managing Director of Catholic Radio and Television Network (CRTN) serving also as Executive Producer and Producer for CRTN documentary programming and as program host for Where God Weeps. As of 2012, Mark is also Director of Communications for Aid to the Church in Need. How do I obtain a copy of the english version of the video you and Agnieszka Dzieduszycka co produced about Riwanda ? Thanks for be in contact with us.